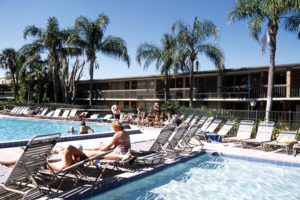 Situated at the heart of International Drive, Orlando, the Rosen Inn International serves as a comfortable getaway for travellers wanting to experience the thrills and excitement of some of the city's most popular attractions. 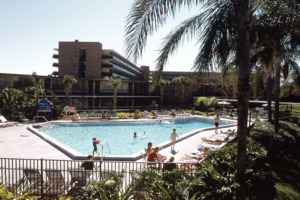 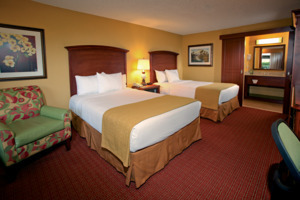 Conveniently located close to SeaWorld®, Wet 'n Wild®, Walt Disney World® and the Universal Orlando® Resort, this great value hotel is simply perfect for families and groups seeking adventure, while the in-house luxuries and modern sense of style sets the soothing tone each and every day. 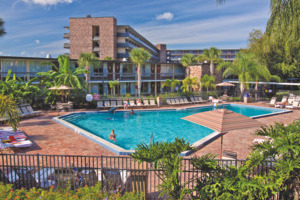 With a number of lavish accommodations to choose from, tempting in-house eateries to visit and quality facilities to utilise, this hotel is fully equipped and prepared to make your Florida dreams come true. 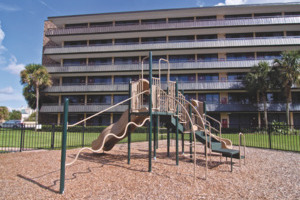 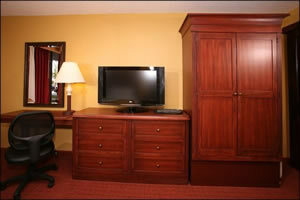 Renovated in 2002, the hotel is fully air conditioned and comprises a total of 728 rooms spread over 6 floors. 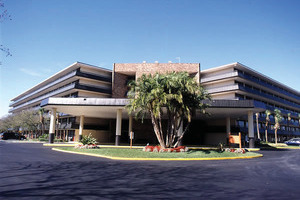 This family-friendly hotel welcomes guests with an elegant lobby featuring a 24-hour reception desk, a safe, a cloakroom and several lifts. 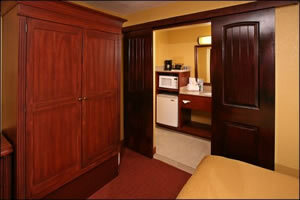 Guests may enjoy a selection of culinary delights in the bar and the restaurant. 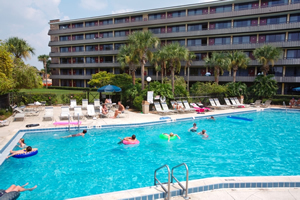 Situated on the corner of International Drive and Sand Lake Road, shops, restaurants and Wet 'n Wild® are all within walking distance. 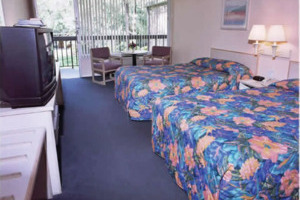 A free scheduled shuttle service provides access from this great budget property to Orlando's other fantastic attractions such as SeaWorld® and the Universal Orlando® Resort. 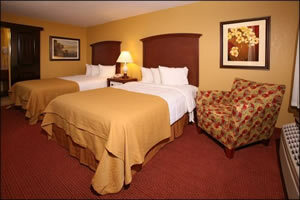 The guestrooms at Quality Inn International offer impressive furnishings and attractive decor for a pleasant and comfortable stay. 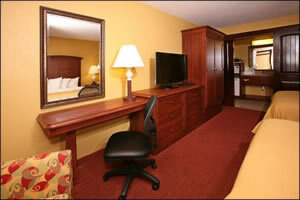 The guestrooms offer excellent standard amenities, as listed below.